Honoring the Orthodox Leaders in every field. 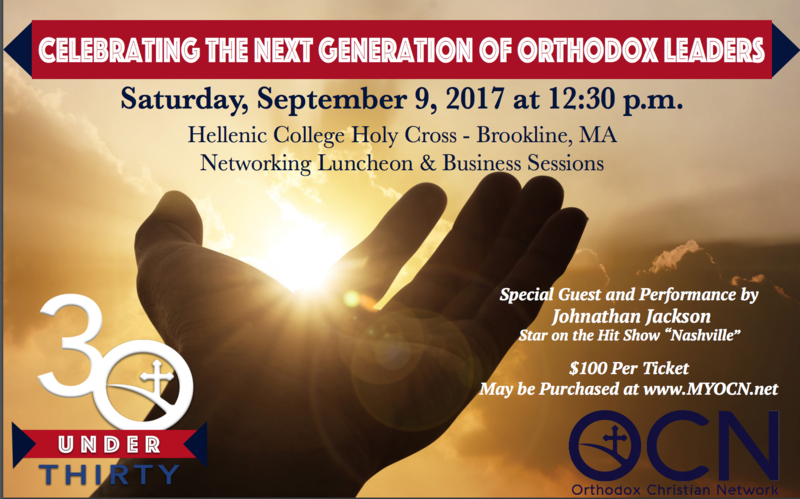 An opportunity to mentor, network and exchange ideas with the future of Orthodoxy. "Next Generation of Orthodox Leaders"
Come Celebrate the Next Generation of Orthodox Leaders. RECIPIENTS OF THE 30 UNDER 30 INITIATIVE. The initiative draws on Orthodox leadership in the fields of medicine, nutrition, science, public policy, social science, humanities, arts and law, among other. There is a mentorship aspect that OCN recognizes will be a valuable stepping stone to career both for the mentee and their mentor.